When to Start Sleep Training | The Sugar Plum Sleep Co.
Are you struggling with deciding when to start sleep training, when to remove night feeds and what sleep training approach will work best? I’m breaking apart 3 common sleep training myths to help you decide if and when it’s right for your family. Deciding when to start sleep training should be your first consideration. I’ve worked with a lot of babies under 6 months of age. It’s important to select an age appropriate strategy for your child that also takes into consideration their temperament. Sometimes this leads us to the question: do I even need to explore sleep training? Will this phase pass? If your current sleeping arrangements are working, then there is no need to change them. But if things aren’t sustainable, it may be time to think about making changes. 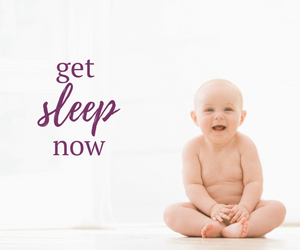 It’s important to consider the sleep needs of the entire family (not just your baby). There is a growing body of research that links inadequate sleep in adults to a whole range of health issues such as weight gain, memory loss, strokes, heart attacks and other cardiovascular disorders, stress, and depression. Parents shouldn’t ignore the emotional impacts of lack of sleep either: an inability to connect emotionally or physically with your spouse or partner can also be a catalyst for making changes. There’s a lot to consider and if the timing doesn’t feel right, then exploring other smaller changes first may be a good first step. 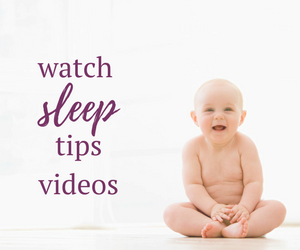 My free course: Sleep Training Tips for 4-6 Month Olds is a great introduction to implementing small and manageable changes to your child’s sleep habits. When can I remove night feeds? Myth 2: I have to take away all night feeds to successfully sleep train. Not true. My general rule of thumb is that if a baby is 15-16 pounds and at least 4 months of age, you can consider removing night feeds. Not everyone is comfortable with that approach. 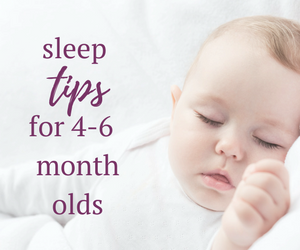 You can absolutely keep in one or more night feeds; however, keep in mind that if your goal is to reduce the frequency and duration of night wakings, you will likely need to work through those other times in the night when you baby wakes, but hunger isn’t suspected. This can sometimes lead to a slight delay in overall progress of meeting your sleep goals. 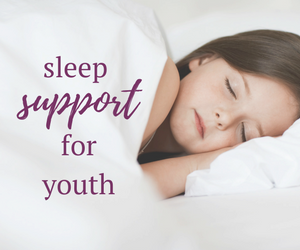 If your main goal is to encourage your child to have consolidated periods of sleep at night, deciding when to start sleep training is a critical consideration. It’s important to recognize that your interpretation of Cry It Out (CIO) could be vastly different from someone else. There are different ways for a child to make changes to the way they sleep. The difference is the amount of comfort and support you offer while they are learning, and this varies tremendously based on the age and stage, and their existing sleep habits. Even methods that use a lot comfort could result in crying. Learning new things is frustrating for little ones. Sleep training gets a bad reputation because many parents identify CIO with the “extinction methodology.“ The “extinction methodology” involves completing your child’s bedtime routine and then removing yourself from their room so that they can attempt to fall asleep on their own. Comfort and support is not offered in this scenario. Night wakings are dealt with in the same manner. Most parents aren’t comfortable with this approach (and neither am I!). More commonly used Cry It Out approaches include the use of timed intervals of returning to your child to offer comfort and support (“controlled comforting”) or staying in your child’s room, whereby your continuous presence is also used to provide support (“camping out”). These are the two strategies that I typically recommend. 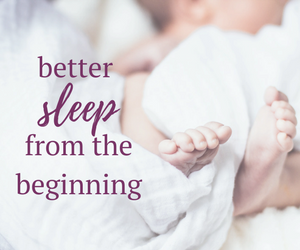 I create step-by-step plans for my individual clients to meet their sleep training goals with confidence and ease. Learn more about my approach by booking a complimentary 15-minute phone call today.